Reykjavík is situated in a place of natural beauty, half surrounded by majestic mountains, which are visible from just about everywhere in the city on a clear day. A quarter of the city area is devoted to open spaces, and the clear-headed feeling you experience from spending a day outdoors in Reykjavík is not easily matched. Reykjavík is a friendly and colourful city, and a walk around the downtown area with its picturesque backdrop of mountains and ocean is a delightful experience. The city has many footpaths, including walking and cycling routes along much of the coastline, through parks and other open areas. The wooded areas of Öskjuhlíð hill and Elliðaárdalur Valley are the perfect surroundings for a peaceful walk, while a stroll along the shoreline paths of Ægisíða or Seltjarnarnes will leave you invigorated. The perfect way to experience Reykjavík’s healing energy is to visit one of our many thermal pools and spas. Going for a healthy swim is also a great way to spend the afternoon. Catching the latest gossip in the “hot pots” or relaxing in a state-of-the-art spa leaves you with a wonderful sense of wellbeing. If you fancy a dip in the Arctic Ocean, a visit to the thermally heated sandy beach at Nauthólsvík is a great way to spend a sunny day. 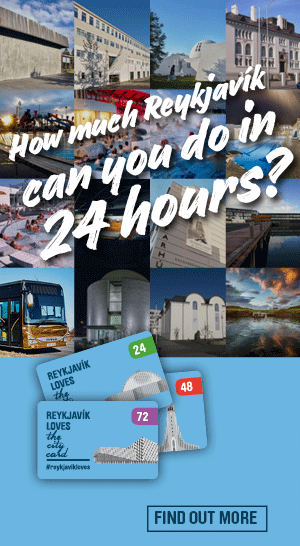 The number of outdoor activities available in the city makes Reykjavík the perfect weekend getaway for tourists and an exciting option for business people too. Especially for those wanting to combine action and nature-based activities or go on whale and bird watching tours. Horse-riding, golfing and salmon fishing are also available within the city limits.